Sam Simmons is licensed as an Alcohol and Drug Counselor and behavioral consultant who has over 22 year background in program development, group facilitation, and curriculum development specializing in the areas of Violence Abatement, Chemical Dependency and working with African American men & young people. He has a personal commitment to improving the African American Community and vast experience in addressing individual, family and community experiences with intimate partner violence. He has established a working relationship with African American Family Services, the Father Project, Q Health Services and Lifesource to mention a few to address service and health disparities in communities of color. He is an active member of 100 Men Take a Stand for domestic peace and the Minnesota Father & Families Network as a Board member. He is currently working with Family & Children’s Service to Development a Healing Curriculum for African Men. 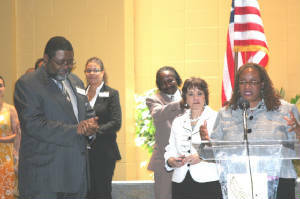 Sam was awarded the 2009 Governor’s Council on Faith and Community Service Initiatives Best Practices Award for his work with MN Department of Veterans Outreach Services, prison reentry and in the African American community. Also he is a volunteer with KMOJ radio, producing and hosting their public affairs shows. He describes himself as a former pathetic father and husband, drug user, drug dealer, angry man, ex-delivery service driver, with a low self-image, who suffers with chronic pain. Who transformed himself into an effective and talented counselor, speaker, motivator, and educator, who has the ability to empower individuals to take responsibility for their own lives. 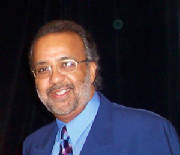 James Martin is a behavioral consultant who has over 20 year background in program development, group facilitation, and staff development and professionally served the African American community for 36 years. He organized Black men in Minnesota for the Million Man March, and later the Million Family March. Also a spiritual leader, Mr. Martin founded a prison ministry. 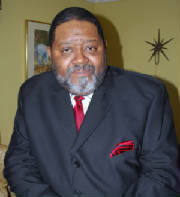 He has served as an educational consultant on religious and cultural diversity and founded a non-profit organization of Black men named M.A.R.C.H. – Men Are Responsible to Cultivate Hope. A consultant, teacher, facilitator, mediator and spiritual leader, Mr. Martin now devotes himself to eliminating domestic violence and promoting family peace in the African American community. He is also Project Organizer of 100 Black Men Take A Stand for Family & Children’s Service. Content Copyright © 2010 Samuel Simmons Consulting. All Rights Reserved.